I am thrilled and privileged to be one of nine authors contributing to the Wild Rose Press's anthology 'Song Of The Muses'. Nine stories of inspiration about the nine Greek muses. Mine is Terpsichore, muse of Dance and I've sent her to 5th Century Wales. When Terpsichore, the Muse of Dance, is assigned to revisit the land of Wales, her task seems simple enough. She is unaware there is a hidden agenda. Before she can return to Olympus her path crosses that of the mysterious Myrddin, and her heart is lost. But Myrddin is promised to another. His mind is set on the dangerous task that lies before him, and the woman he has sworn to save. Nevertheless, he cannot deny the growing attraction between him and the beautiful stranger he meets along the way. All nine stories have now been released electronically,and will be released as three paperback anthologies of three stories each in October 2008. 'Dancing With Fate is currently No. 3 in the Wild Rose Press Best selling Faery Rose short stories list. and received a five hearts rating from Dee Dailey of Coffee Time Romances. "This may be a fantasy but I’ve felt like I was in that kind of situation once or twice or a hundred times myself! I have to recommend this book highly. Not only because I like it so much and it’s excellent entertainment but I just can’t take the chance that the gods might get crazy if I don’t!" 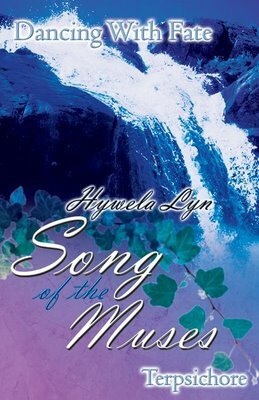 You can read more reviews and an excerpt on my website www.hywelalyn.com. To go to the purchase page, just click on the Title of this post.